ARCs Coming Soon & Freebies for YOU! The Warping is almost here! My newest book, THE WARPING progressed a little slower than usual this winter (life has really been pesky lately, interrupting a lot of my writing time) but I’m getting close to the finish line and expect to be sending out advance review copies by June. If you haven’t signed up for my newsletter yet, now’s the time! THE WARPING is the first book in a brand new series, one that brings together the best elements of Song Walker and Shades of Valhalla from the Inner Origins Series. That’s right! Faeries AND Starseeds. Some of our favorite characters again from Shades even make an appearance… The story is set in the utopian society that has evolved since the world was saved thirty years before by Siri Alvarsson. What could go wrong? The moment The Warping is off to beta readers and the editor, I’ll be hunkering down to start book two in the Starseeds series — a lot is happening there. The bad guys are gonna get meaner, Callie’s powers are expanding, and we’ll hear more about her family on both sides. After that, I’ll be back to writing a book to follow The Warping. I know, I know — it’s a bit ambitious to be writing two series at once, but both stories are demanding to be told… What’s an author to do?! SO, as a special thank you for being so patient with me, I’m sharing a couple free reads with you from some of my author friends — all in the fantasy genre — that you can start reading right away. ENJOY! Prince. Prodigy. Mage. 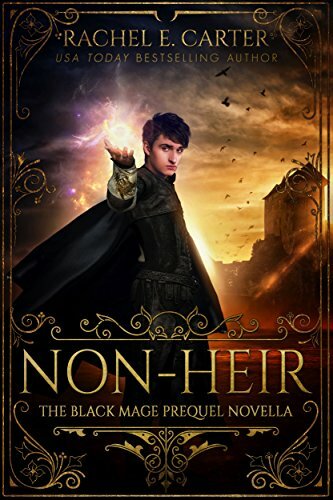 Discover the dark backstory between two princes and their father, as well as the ensuing events that shaped Darren into the Academy’s most prodigal mage. 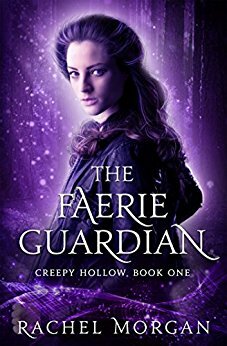 It’s a job she’s good at—until the cute guy whose life she just saved follows her back into the dangerous world of magic. Now she’s broken Guild law, landing herself in a whole lot of trouble. Have you reviewed my books? Leaving reviews is the best thing you can do to support your favorite authors — it helps new readers find us and boosts our visibility online, which means we can spend more time writing, and less time marketing. It’s where I’m the most active online, posting lines from my WIP, talking with fans and getting inspired! Ellis Logan lives a quiet life in New England, obsessing daily over superheros and the gods of old. She spends her days corralling wild children, playing with lynx-earred kittens and communing with fairies. When everyone is settled down and the owls begin to sing, you'll find her typing away and munching on dark chocolate while unseen spirits whisper stories in her ear.